There’s no secret to what the Dodge Grand Caravan is and what it offers. This is the minivan that’s been trusted for longer than any other on the market and it continues to provide the family hauling capabilities you need. The Dodge Grand Caravan is the right vehicle for your family to get around Palestine, TX and our team at Palestine Chrysler Dodge Jeep Ram Fiat can’t wait to help you find yours today. Do you want a vehicle that can bring the entire family for a drive and double as a cargo carrier? Are you searching for a vehicle that fits easily in your budget while providing the comfort you need? Of course, these are things you desire, and the Dodge Grand Caravan can deliver on what you’re looking for. Open the doors take a look inside and see exactly what this minivan has to offer. You’re going to love the seats that stow away into the floor so you can transform the vehicle into a cargo carrier that can accommodate your needs. Ask our team to take you for a test drive and see how much the Grand Caravan fits what you’re looking for. The balance between power and fuel economy has been a difficult task for minivans for many years. Thankfully, the Dodge team has this mastered with the Grand Caravan. During your test drive, you’re going to notice this vehicle has the power you need to pass on the highway with confidence while providing you with a reasonable level of fuel economy that fits your family’s budget. Add the low price tag and easy to secure financing to the mix and you can see how you’ve got the power that you need when you choose the Grand Caravan. What Do You Want the Grand Caravan to Do? For the most part, we often think of the Grand Caravan as just a family hauler and nothing more. Let our team show you how much more this vehicle can be for you. When you put the seats down and stow them away you have room to bring home all the materials needed for a weekend project. If you have to bring kids with you and need room for some awkward cargo, you can use this minivan to get the job done too. This minivan offers you the versatility your family needs. Not only is the Dodge Grand Caravan a vehicle that can provide you with the power and versatility you need, but our team at Palestine Chrysler Dodge Jeep Ram Fiat can help you have the right deal for you. 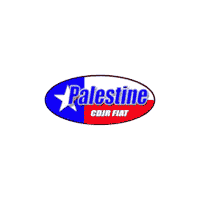 Ask us about the financing and lease programs offered for the Grand Caravan and see how affordable this vehicle can be for your daily drive around Palestine, TX. We’ll get you behind the wheel and on the road so that you can enjoy your ride every day.